Here is the situation: Abbas is arresting and torturing Palestinians on suspicion of being affiliated with Hamas at the same time that he is criticizing Israel for killing or arresting members of Hamas. Mahmoud Abbas and his government actually owe Israel a massive debt of thanks for targeting their enemies -- the same enemies they just accused of trying to assassinate Abbas' prime minister in the Gaza Strip last month. Abbas, of course, knows the truth: that Hamas is sending Palestinians to be killed and disabled near the border with Israel just to be able to hold up dead Palestinian babies with which to blame Israel in front of the press. Abbas, however, is not only hypocrite, he is a coward. He knows it is safer for him to turn the heat falsely against Israel -- the same Israel that is propping up his regime in the West Bank and ensuring that Hamas does not drag him to the center of Ramallah and hang him as a traitor. Ironically, however, when it comes to areas under the control of the PA in the West Bank, Palestinians are banned from staging protests in front of President Mahmoud Abbas's "presidential" Mukata headquarters in Ramallah. In general, the PA leadership does not tolerate any form of criticism -- which happens to be the reason that protests against Abbas and his government are virtually unheard of. The only protests the PA accepts and welcomes are those directed against Israel. Yes, in PA-controlled territories in the West Bank, Palestinians can stage daily protests against Israel anywhere and at any time they wish! They can throw stones at IDF soldiers and Jewish settlers, and the Palestinian policemen will do nothing to stop them. Does any Palestinian, however, dare to throw a stone at a Palestinian policeman? You guessed it. Definitely not. In a similar vein, the PA security forces feel free to arrest any Palestinian they want, even for the most trivial infraction. They are allowed to hold Palestinians in detention without trial and deny them visits by their family and lawyer. They are allowed to arrest any Palestinian journalists they wish for posting supposedly critical remarks on Facebook. Rami Samara, for instance, was arrested by PA security forces on April 3. for criticizing "arbitrary measures" taken by the PA against Palestinian journalists. Unwilling to face the strong protests by human rights organizations and Palestinian journalists, Abbas ordered the release of Samara hours after the journalist was taken into custody. Again ironically, hardly a day passes without the PA and its institutions condemning Israel for arresting Palestinians in the West Bank for security-related offenses. The PA often denounces the Israeli arrests as "abductions" and "violations of human rights" of Palestinians. Yet, this is the same PA that takes liberties in arresting and harassing Palestinians on a daily basis, mostly for being affiliated with rival groups, and for voicing criticism of the PA leadership and its policies – not to mention corruption. When Israel arrests Hamas and Islamic Jihad supporters, the PA expresses outrage and demands the immediate release of the suspects. When the PA stages a campaign of arrests against its political opponents, however, suddenly, everything changes. Then, Palestinians are required to remain silent and even support their leaders and security forces for supposedly defending the national interests of the Palestinian public or "preserving law and order." Consider, for example the following: just in March, Abbas's security forces in the West Bank arrested 210 Palestinians for allegedly being affiliated with Hamas and other Palestinian opposition groups. Another 121 Palestinians were summoned for interrogation by the PA security forces. The PA security forces also raided the homes of 49 Palestinians for various reasons, including critical comments on social media. At least eight detainees are said to be on hunger strikes in PA prisons in different parts of the West Bank. Among the detainees in Palestinian prisons are 25 university students, two school pupils, three journalists, one human rights activist, three school teachers, an engineer, two physicians and two university lecturers. On April 4, the families of some of the Palestinians held by the PA security forces tried to hold a peaceful sit-in strike in front of Abbas's office in Ramallah to demand the release of their sons. The families, however, were told that it was forbidden to stage any form of protest in front of Abbas's headquarters for "security reasons." The families were told that they could instead go to one of the streets in the center of Ramallah and protest there. The only demonstrations that are permitted in and around Abbas's headquarters are those where Palestinians pledge allegiance to their 83-year-old president or to protest against Israel. 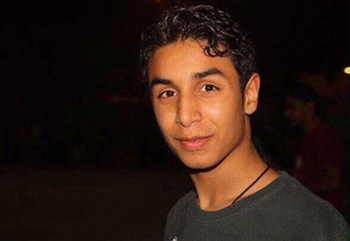 At the April 4 protest, the wives and mothers of the detainees complained that their sons were being held without trial and without family and lawyer visitations. The wife of Ziad Kilani, arrested last month by the PA security forces, said that she and her family do not know anything about their son and do not know where or why he is being held. Kilani's mother said that when she asked the PA security officers the reason for her son's detention, she was told that he was being held on the order of a top Palestinian official. She said that when she asked the official himself, he denied any knowledge of the matter. The Palestinians say that the vast majority of the detainees arrested by Abbas's security forces are detained solely for their political affiliations. They say these "politically motivated" arrests are part of the PA's continued security crackdown on its political rivals in the West Bank, including Hamas and Palestinian Islamic Jihad. Huda Na'im, member of the Palestinian Legislative Council -- the Palestinian parliament that has been paralyzed for the past decade because of the power struggle between Hamas and Abbas's ruling Fatah faction -- called for the immediate release of all the Palestinian detainees held in PA prisons. "The ongoing politically motivated arrests in the West Bank [by the PA security forces] constitute a crime against the Palestinian people, and only serve the interests of Israel," she said. 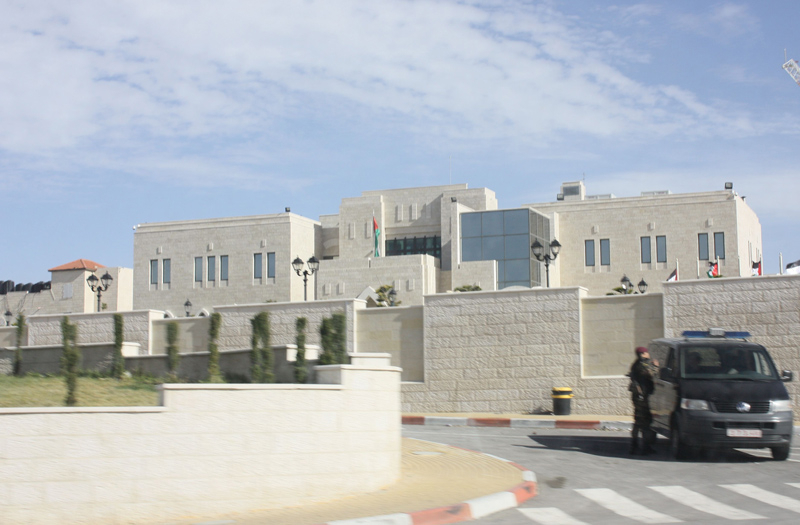 Nai'm called on the PA to backtrack on its "treacherous practices. She also called for bringing the commanders of the PA security forces responsible for the arrests to trial for politically motivated arrests and torture. Some may argue that the PA security forces are doing a good job by targeting Palestinians affiliated with Hamas and Islamic Jihad. One is left, however, with the nagging question: Why does the PA castigate Israel when it does the same thing against Hamas and Islamic Jihad? During the March 30 events along the border between the Gaza Strip and Israel, several Palestinians belonging to Hamas and other armed groups in the Gaza Strip were killed by the Israeli army. The victims were not supporters of Abbas and Fatah. In fact, they were Abbas's enemies. Didn't Abbas recently hold Hamas responsible for the March 13 assassination attempt against his prime minister, Rami Hamdallah, during a visit to the northern Gaza Strip? Didn't Abbas threaten to take "legal, financial and national measures against Hamas? Didn't he threaten that "shoes will be pouring on the heads of the most junior and senior official in Hamas?" Abbas and his government want the international community to launch an investigation against Israel for killing a number of their Hamas enemies in the Gaza Strip. Abbas and his government say Palestinians are entitled to demonstrate near the border with Israel and endanger the lives of soldiers and Israeli citizens but are not allowed to stage a small protest outside his Ramallah office for "security reasons." Abbas and his government actually owe Israel a massive debt of thanks for targeting their enemies -- the same enemies they just accused of trying to assassinate Abbas' prime minister in the Gaza Strip last month. Instead, Abbas is busy inciting against Israel and accusing it of committing "massacres" against "unarmed" civilians in the Gaza Strip. Who is Abbas fooling? Doesn't Abbas see that even Hamas has boasted that several of those killed by the Israeli army were members of Hamas's military wing, Izaddin al Qassam? Again, we are showered by Abbas and the PA leadership with deceit and dissimulation. Were it not for Israel, these Hamas men would have crossed the border from the Gaza Strip and killed not only Israelis, but the Palestinian president and many of his Ramallah-based cronies. As the leader of the Palestinians, Abbas should be criticizing Hamas and other terror groups for sending children, the elderly, women and "unarmed civilians" to the border with Israel, where they are endangering their lives. Abbas, however, is terrified of Hamas. He is also afraid of his own people, whom he has taught to hate – more than they love life. Abbas, of course, knows the truth: that Hamas is sending Palestinians to be killed and injured near the border with Israel just to be able to hold up dead Palestinian babies with which to blame Israel in front of the press. Abbas, however, is not only hypocrite, he is a coward. He knows it is safer for him to turn the heat falsely against Israel -- the same Israel that is propping up his regime in the West Bank -- and ensuring that Hamas does not drag him to the center of Ramallah and hang him as a traitor. Bassam Tawil seems to be looking at this from the perspective that the PA is some sort of legitimate government, or has some responsibility to its people, or to law, or to consistency. This is not the case -- Fatah, Hamas, or whatever group controls a particular area, are terrorists. They operate from the basis of lies and force, and rule their fiefdoms on the same basis. They are the law in the areas they control, and are quite willing to kill, steal, torture, lie, or do anything they think necessary to maintain and expand their power. It's all about control of the power and money, and subjugation of the population to their will -- these are the priorities that come before anything else. my friends and recipients so that they may know of the Gatestone Institute, its clear reporting. Excellent once again ! Needs to be widely disseminated in the mainstream press. The question raised by this article is reminiscent of why Churchill didn't want Hitler assassinated: If Abbas goes, who will take his place ?